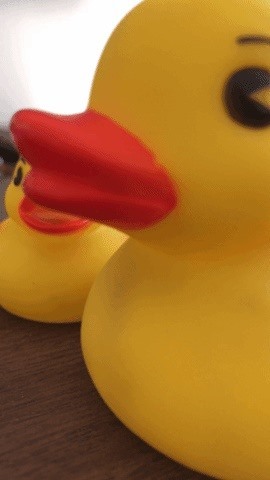 When you're taking a video in the Camera app on your iPhone, there's a little white shutter button in the corner that lets you take a still image while you're filming. Apple has brought that same concept over to the FaceTime app in iOS 11, so you can take Live Photos of your friends during video chats. FaceTime, which was first released back in 2010, was an instant hit and very much still is. While being able to seamlessly see and talk to your friends and relatives is fantastic, it's always been difficult to capture and share moments with those not in the video call itself. Sure, you could take a normal screenshot, but there's a delay between the time the screenshot buttons are pressed together and when the screenshot is taken. This means whoever you're FaceTiming could have stopped doing the memorable or embarrassing deed worth capturing. Plus, it's pretty easy to mess up a simple screenshot and close out of the app or lock your iPhone instead. Apple has finally fixed this issue in iOS 11, as there's now an on-screen button you can tap that instantly captures a Live Photo of your friend or family member's camera. Let's check out how to use it below. Note: this feature was removed in iOS 12, so until Apple adds it back, Live Photos in FaceTime video calls is an iOS 11-only feature. In order for this to work, both you and the person you are FaceTiming with will need to have iOS 11 installed. If you or they updated to iOS 12 already, you can downgrade back to iOS 11 until Apple stops signing iOS 11.4.1, the last iOS 11 version for iPhones. Hurry, though, because it won't be available long. 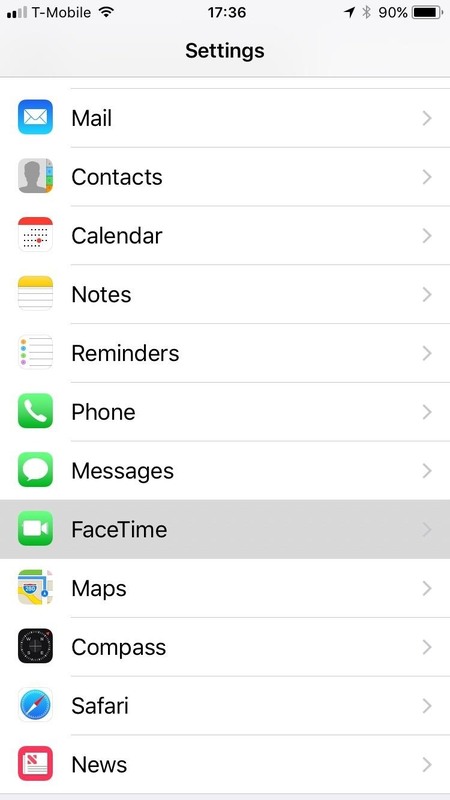 If you FaceTime with someone running iOS 12 or iOS 10 or below, the capture button will be grayed out and unusable, and tapping on it will say the other user needs the option enabled. Start off by picking a friend that does silly or goofy things on FaceTime, then give them a call. 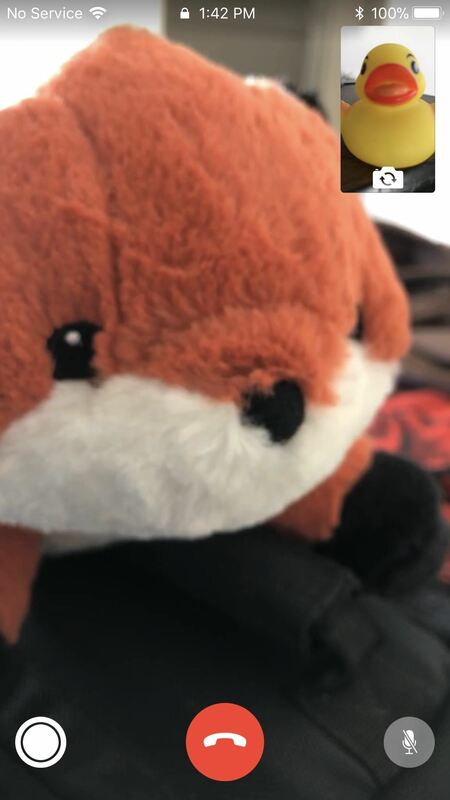 Once in the video call, you'll see the white-and-bright capture button on the lower left-hand side. If you see it grayed out, they aren't using iOS 11. However, it could also mean they've disabled FaceTime Live Photos on their device (more on that later) or, if they answered on their Mac, aren't using macOS High Sierra v10.13 or higher. (1) Working on an iOS 11 user. (2) But grayed out when calling someone on iOS 10. Once your FaceTime video call is in motion, wait for whoever you're calling to do something worth sharing and hit the dot-in-a-circle button on the bottom left-hand corner. Both you and they will see a brief toast message stating that a FaceTime Live Photo was taken, while only you will find a saved Live Photo within your Photos app. The cool part about this is that it's almost as though you took the photo using the other person's front-facing camera. 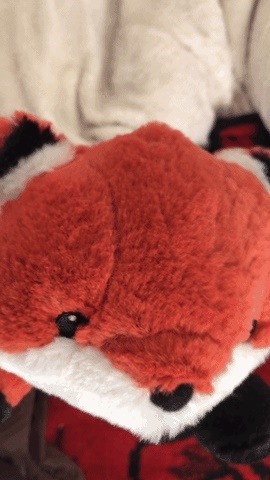 There's no call button in the Live Photo, no mute option, and best of all, your picture won't be in the top right-hand corner. Plus, the Live Photo you save will also have the audio attached, so you can get any funny spoken moments with the visuals. 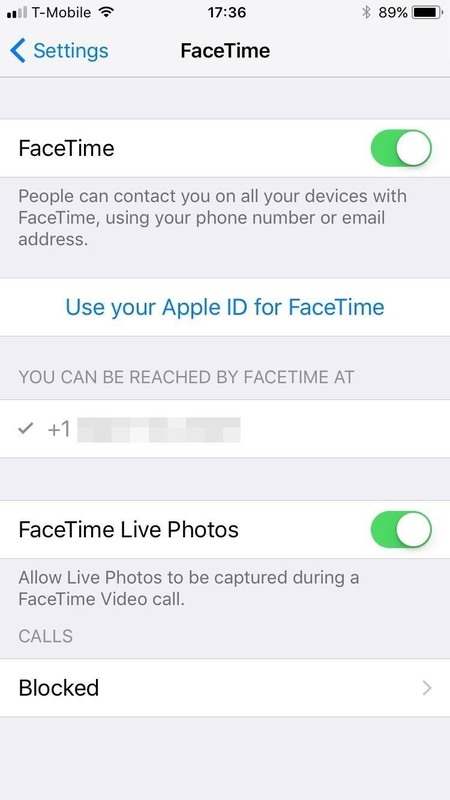 There's an extremely simple way to prevent someone from taking a FaceTime Live Photo of you — just turn off the Live Photos option in the Settings app under FaceTime. 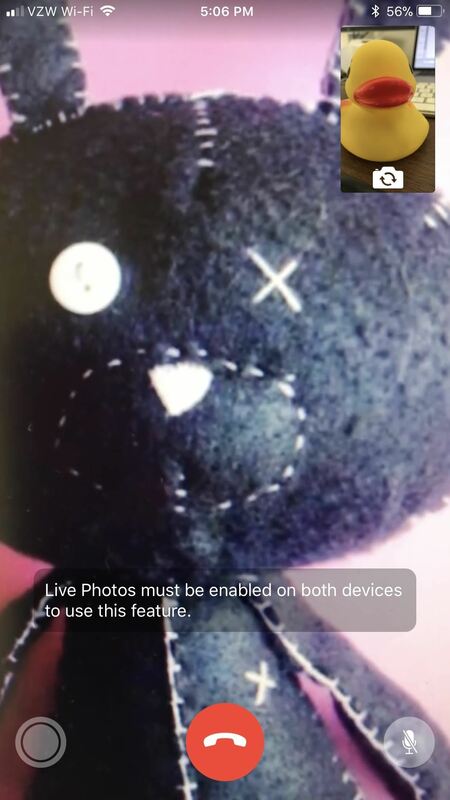 This will allow you to take a Live Photo of someone else during FaceTime while preventing anyone from taking one of you. Also, updating to iOS 12 on your iPhone will also do the trick, since the option is no longer even available. Just remember that turning this off or updating to iOS 12 doesn't mean you're completely safe — regular screenshots can still be taken without you being alerted, just like previously.